a little bit bunny: Blues Whale. He needs a Harmonica round the back near his blow-hole... other than that, this is the business! I might have suggested a harmonica near his blow-hole, but I can't be sure about that! Hi Matt, sorry it's taken me so long to post a comment, shoddy blogging, soz. 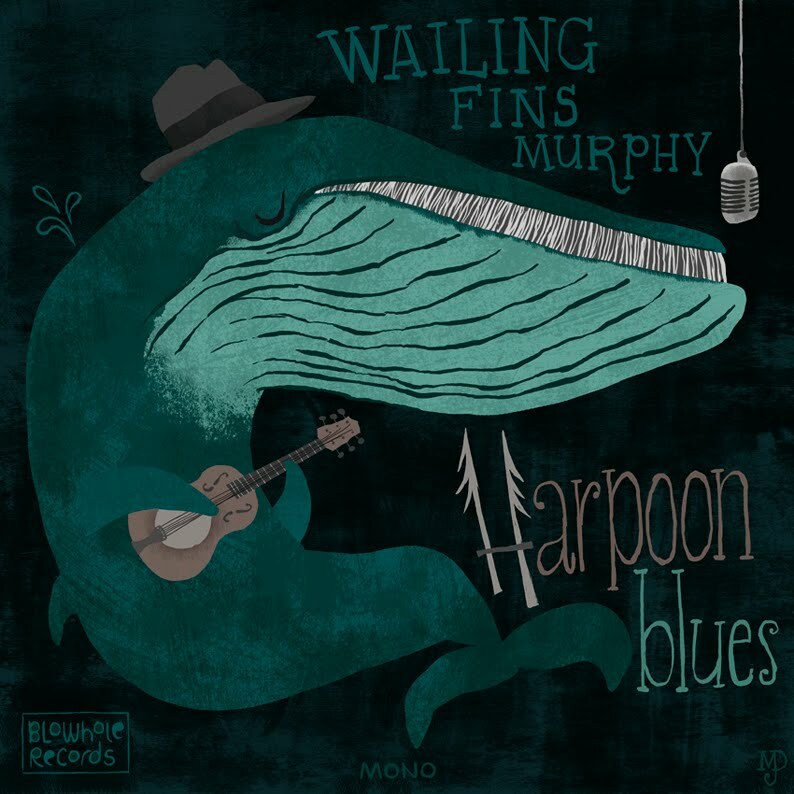 This is great album cover, the whale's pose is superb, and colours and textures are lovely. P.s. Kev, love the concept of the blowhole harmonica, but it needs to be on a one-man(whale)-band. Perhaps when we do another type of whale, you could treat us with your version.